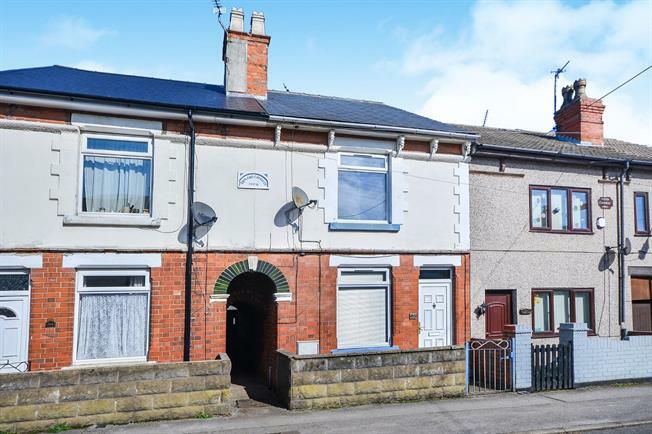 2 Bedroom Terraced House For Sale in Nottingham for Offers Over £70,000. Two bedroom terrace property in a sought after location. This home would be ideal for a first time buyer looking to get on the property ladder or an investor looking for a good rental yield. Great potential to put your own stamp on this house and being sold with no upward chain. The property is spacious throughout and briefly comprises of; Two large reception rooms and kitchen. To the first floor are two double bedrooms and a large family bathroom. Outside the property to the front is a small courtyard leading to the front door. To the rear is a private enclosed garden which is mainly laid to lawn and outbuildings. A viewing is highly recommended to appreciate the size and potential of this property so please call today. UPVC double glazed door. Double glazed uPVC window. Radiator, boiler. Roll edge work surface, wall and base units, stainless steel sink, space for washing machine.